Sent to me today by a good friend. 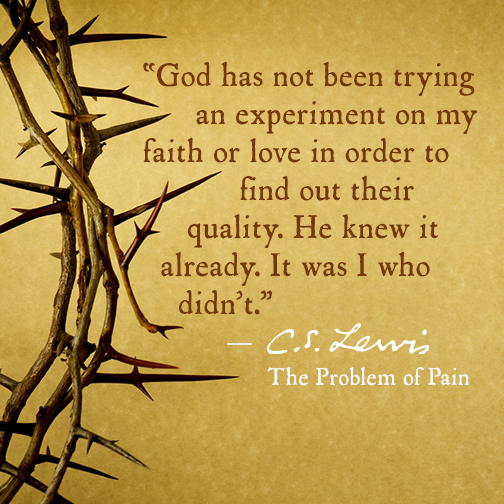 This entry was posted in CS Lewis and tagged of, pain, problem. Bookmark the permalink.